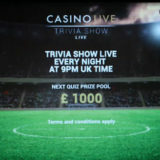 Playtech Trivia Show - Football Quiz - Win £1000 a night. Free Entry. 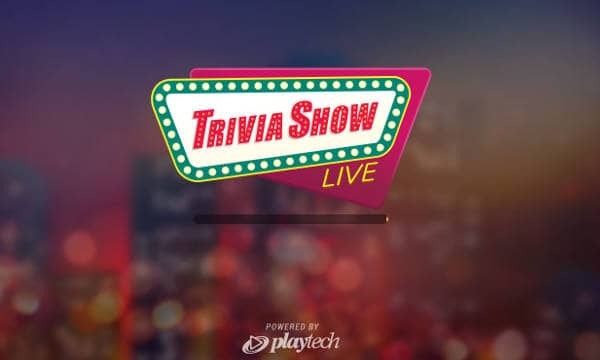 Playtech Trivia Show Live – Win up to £1000 a night! 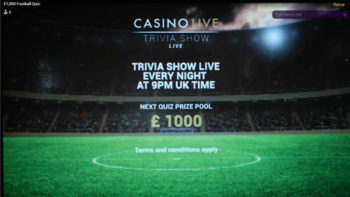 Playtech has launched a live, free to enter Football Trivia Quiz, that gives you a chance to win up to a £1000 each day. 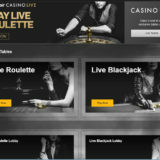 The Playtech Trivia Show runs every evening at 9pm GMT and can be found in the Live Blackjack Lobby. It’s due to run for the duration of the 2018 World Cup. From what I experienced last night I think it’s going to be very popular. The quiz has been running for a few nights . It’s clear from the game last night that adjustments are being made to the format. Money not won is rolled over, but if that occurs another game round is scheduled the same evening rather than rolling over to the next day. The rules are quite simple, shame the questions aren’t so, lol. To enter, all you need to do is have the game open and answer the first question correctly at 9pm (GMT). It’s multiple choice, you’ll be given a question and three possible answers, which you have to answer in 10 seconds. If you get the answer wrong or fail to answer within the time you’ll be eliminated. You’ll still able able to watch and play along for fun. 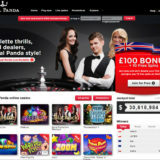 The players that have answered all 10 questions correctly share the prize pool of £1000. Firstly it’s a free to enter competition. 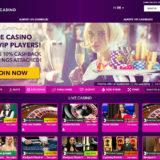 No deposit is needed, you just sign up and join in. There is a live presenter, who’s job is to explain the rules, chat as the game goes along and read out the questions. The questions are also shown on the screen and the timer starts from when they appear, not when the presenters starts talking. This caught me out and I got timed out! All the questions are football related. The chat facility is open to all and you can take part even if you’ve been knocked out. Lost of stupid irrelevant chat goes on. Those knocked out post what they think the answers are for the next questions, sometimes incorrectly as the questions get harder. There’s not enough time to use Google to cheat on the questions. You could try or have someone standing by, but the questions are asked in such a way that you’d have to do a few searches to get the answer. The prizes may differ between operators, so it’s worth checking before the game starts what the prize will be and how it will be paid. I’ve found the game at Betfair and Paddy Power. I suspect that once the World Cup starts we’ll see the game appear right across the Playtech network of casinos. Playtech has also introduced a couple of Football themed Blackjack and Roulette tables for the World Cup if you fancy you’re luck there.